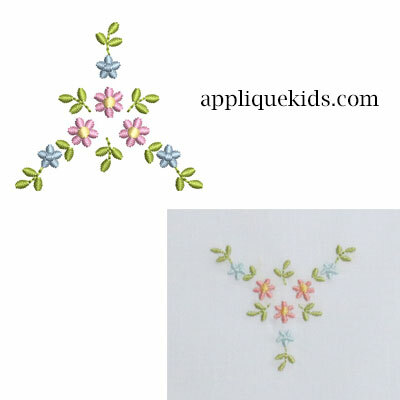 width: 1.94" x height: 1.75"
If you need a small sweet little design, this is it. Perfect for so many appliqcations! Co-ordinates with the Neck Floral Spray. Makes a beautiful Heirloom project.